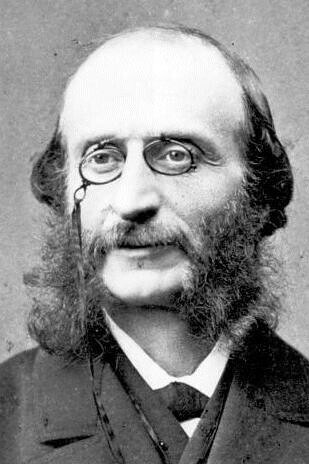 French composer Jacques Offenbach (1819–80) was arguably the most important writer of popular music in the 19th century. 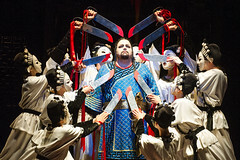 His many operettas are outstanding examples of the genre, while his opera Les Contes d’Hoffmann remains a staple of the international repertory. Offenbach was born in Cologne. He was first taught the violin but from the age of nine focussed on the cello. After a year’s study at the Paris Conservatoire he went on to play in orchestras, primarily at the Opéra-Comique. His fame as a cellist grew through the 1840s, during which time he also organized performances of his own compositions. In 1850 he was appointed conductor of the Comédie-Française, but this work was soon overshadowed by his establishment of the Bouffes-Parisiens for the 1855 Paris Exhibition. Its great success allowed Offenbach to leave the Comédie-Française to set up the Bouffes permanently, remaining as director until 1862. The triumph of the two-act Orphée aux enfers in 1858 was a presage of future success, and Offenbach reached the pinnacle of his popularity in the 1860s with works such as Barbe-bleu, La Vie parisienne, La Grande-Duchesse de Gérolstein and La Périchole. After bankruptcy in 1874 he had success in London with Madame Favart and in Paris with La Fille du tambour-major, but his final years were mainly taken up with work on Les Contes d’Hoffmann, which was left incomplete at his death. 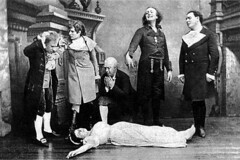 The success of Offenbach’s operettas established the genre internationally, leading the way for composers such as Sullivan and Lehár and in part feeding into the development of the 20th-century musical.